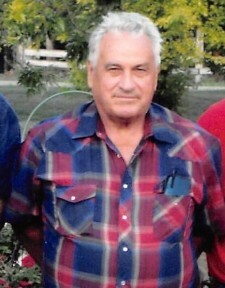 Albert P. Schouviller, 80, Ogema, MN, died Monday, April 1, 2019 at his home under the care of Hospice of the Red River Valley. Mass of Christian Burial will be 11:00 AM Monday, April 8 at Most Holy Redeemer Catholic Church in Ogema, MN. Interment will be in St. Mary’s Cemetery, Callaway, MN. Friends may call 5:00 – 7:00 PM Sunday with a Knights of Columbus Rosary at 6:30 PM and Parish Vigil at 7:00 PM at Most Holy Redeemer Catholic Church in Ogema. The visitation will continue 1 hour prior to the Mass at the church on Monday. Albert Peter Schouviller was born May 26, 1938 in Perham, MN to Nicholas and Monica (Zurn) Schouviller. He received his early education at the Callaway Public School and then attended the Crookston Agriculture School in Crookston, MN. Albert was drafted into the U. S. Army in 1961. He was united in marriage to Marjory LaRue, February 16, 1962 in Callaway. Upon the completion of his military service, they settled on the family farm near Callaway. Albert enjoyed being involved in his community. He was active in his church as a member of Catholic Aid and with Holy Rosary Council of the Knights of Columbus. He served his neighbors on the Callaway Township Board and was active with the Veterans of Foreign Wars. Survivors include his four children: William (Lisa) Schouviller of Fairfax, VA, Susan Schouviller of West Fargo, ND, Dennis Schouviller and Thomas Schouviller both of Callaway, MN; his special friend, Elaine Hoban of Ogema, three grandchildren, William, Matthew and Douglas Schouviller all of Fairfax, VA, a sister, Alice (Albert) Kiehl of Detroit Lakes, MN, two brothers: Nicholas Schouviller of Callaway and James Schouviller of Pilot Rock, OR. He was preceded in death by his wife, Marjory, his parents, a sister, Isabelle and four brothers: Leo, Eugene, Irvin and Vince.